Oh Waheguru ! don’t let me experience or see the difficult times. Protect your Sewak. Giving His hand, He protects His devotee; with each and every breath, He cherishes him. My consciousness remains attached to God. In the beginning, and in the end, God is always my helper and companion; blessed is my friend. My mind is delighted, gazing upon the marvellous, glorious greatness of the Lord and Master. Remembering, remembering the Almighty in meditation, Nanak is in ecstasy; God, in His perfection, has protected and preserved his honor. ਹੇ ਪ੍ਰਭੂ, ਕਿਰਪਾ ਕਰ ਅਪਨੇ ਸੇਵਕ ਨੂ ਔਖੇ ਵੇਲੇ ਤੂੰ ਬਚਾ ਲੈ. ਪ੍ਰਮਾਤਮ ਆਪਣੇ ਭਗਤਾਂ ਦੀ ਰਖਇਆ ਕਰਦਾ ਹੈ ਤੇ ਹਰ ਸਵਾਸ ਉਨ੍ਹਾਂ ਦੀ ਦੇਖਭਾਲ ਕਰਦਾ ਹੈ. ਹੁਣ ਤੇ ਮੇਰਾ ਚਿਤ ਪ੍ਰਭੂ ਤੇ ਸਮਰਪਣ ਹੋ ਗਯਾ ਹੈ. ਆਦ ਤੂੰ ਅੰਤ ਤਕ ਧਨ ਪ੍ਰਭੂ ਮੇਰਾ ਸਾਥੀ ਤੇ ਮਦਦਗਾਰ ਹੈ. ਪਰਮਾਤਮਾ ਦੀ ਵਿਸ਼ਾਲਤਾ ਤੇ ਵਡਾਈ ਦੇਖ ਮੇਰਾ ਮਨ ਹੈਰਾਨ ਹੋ ਗਯਾ ਹੈ. ਪ੍ਰਭੂ ਦਾ ਸਿਮਰਨ ਕਰ ਕਰ ਕੇ ਨਾਨਕ ਆਨੰਦਿਤ ਹੋ ਗਯਾ ਹੈ ਅਤੇ ਪੂਰਨ ਪ੍ਰਭੂ ਨੇ ਆਪਣਾ ਆਸਰਾ ਦੇ ਦਿਤਾ ਹੈ. हे प्रभु, किरपा कर, अपने सेवक को कठिन समय से बचा ले. परमात्मा तो खुद अपने भगतों की रख्षा करता है ओर हर श्वास उन की देखभाल करता हे. अब तो मेरा हृदय प्रभु पे समर्पण हो गया है. धन्य प्रभु आदि से अंत तक हमारा साथी ओर सहायक है. मेरा मन परमात्मा की आश्चर्यजनक विशालता देख अचरज हो उठा है. प्रभु का सिमरन कर कर के नानक आनंदित हो गया है और पूर्ण प्रभु ने अपना आसरा प्रदान कर दीया है. This entry was posted in Shabad Kirtan and tagged Aukhi Dharee, Gurmat Gian Group, Gurpreet Kaur, Keerat Kaur, Shabad Kirtan. Bookmark the permalink. Cannot put in words sufficiently. Just simply, exquisite and such divine voice. Guru’s blessings are on your head and keep it bowed for the divine gift he has given “Jis nu bhakshay sift sa- laah so patshee patshah”. Will be eagerly awaiting for your next offerings. I am going to share this with another 100 at least to spread this frangnance of Guru’s Words. Thanks for your appreciation and for spreading the Fragrance of Guru’s Bani to others. Absolutely divine. Waheguru mehar bhareya hath hamesha aap sab de sir upar rakhe. will be sharing with my kuwiat sangat group. That is a great service to the Sikh faith. May Waheguru grant you all along, prosperous and healthy life. ||Rahao|| My mind is enjoying the company of god since he is now enjoying him because he found out that god has always been my protector, he always loves me, irrespective of my religion, caste, gender, color, my big useless ego, hate, sin and all my short comings, if I go in his sharan, he give me santokh, seheg, peace of mind, destroys my ego. Thank you Gurpreet ji for giving us another beautiful shabad. I really like the bandish . 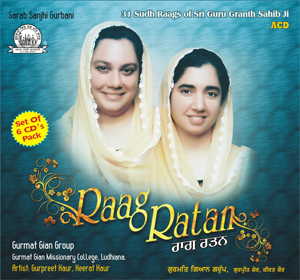 God has blessed you with such lovely voices – May you carry on singing and giving us many more shabad in different ragas. Hi to everyone. I was going through lots of comments here. I am so proud to be your son. Nice work mama n papa. Bring more beautiful shabads with amazing videos and give others a great opportunity to listen it. This shabad is beautifully sung in Raag Kalyan and you can really feel the message of our Guru. So comforting!!! Stands back from the keyboard in ameameznt! Thanks! Waheguru tuhade ang sang rahe ! We are all Blessed when we join in Guru’s Kirtan. Spread the Bliss of Gurbani to all your near and dear ones. 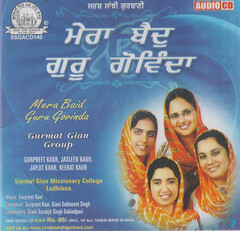 Totally overpowered by the divine shabad gurbaani and music . Keep the fragrance spreading in the world. Would like to thank for the amazing site for keeping in touch with the Guru. 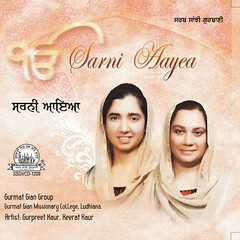 thank you so much for sharing with all of us Gurbani in your beautiful voice. Your videos are great as they allow the viewer to sing along and for the non punjabi reader to understand the meaning in english. For each shabad could you please add the keys for the asthahi and the antara. 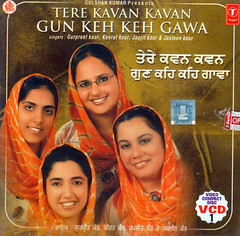 I am teaching my children shabad kirtan (http://www.youtube.com/watch?v=VdkqxiyC0UE) and having a number of shabads sang in raag with the asthahi and antara would help. These Shabads have enlightened my life to a great extent. Thanks for making me listen and have a meaningful life. Thanks Bhai Sahib ji for being part of our Sangat and feeling the Bliss of Gurbani. 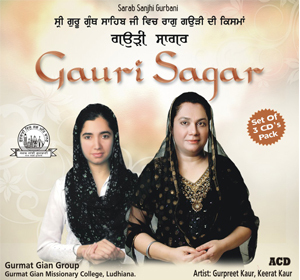 Do keep visiting the site and be part of Gurbani Kirtan. 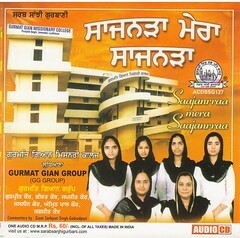 Respected Dr Sahib and the entire team of Gurmatgiangroup, GURFATEHJI- Congrats…..V really enjoyed the shabad recited and wondered what would have been the situation if the shabad was sung in Nirdharat Raag(Dhanasari) with Rahao wali Thuk as ASTHAI..
Let us pray for ur continued sewa and may u all receive HIS BLESSINGS for times to come. Thanks for liking the shabad recital. 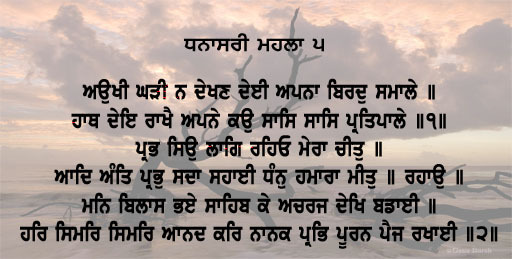 I do have in mind to do a composition of this shabad in Raag Dhanasari keeping rahaoo as asthai. Ek oankar satgur parsaad. eh shabad smuchi manwata de lai ha and tusi is nu gayan kar ke manwata dee bhalai kiti ha. TE asi ardaas karde ha ke tusi khud bani ga o te horna nu isde naal joro. Waheguru g ka khalsa waheguru g kee fateh. Waheguru g….. to powefull words in difficult situations……. thnx God…..